Join me Thursday, March 22nd, for a live and interactive FutureofEducation.com conversation with David Warlick, founder of the Landmark Project and widely respected speaker and author. My association with David goes back many years--he was a guest on my interview series in 2007 as part of a series on "School 2.0," and actually generated the ideas for what have become the now-annual Bloggers' Cafe and EduBloggerCon (now SocialEdCon) events at many of the ed tech conferences. Recordings: The full Blackboard Collaborate recording is at https://sas.elluminate.com/p.jnlp?psid=2012-03-22.1715.M.9E9FE58134BE68C3B413F24B3586CF.vcr&sid=2008350 and a portable .mp3 audio recording is at http://audio.edtechlive.com/foe/davidwarlick2012.mp3. David Warlick is a 35 year educator. He has been a classroom teacher, district administrator and staff consultant with the North Carolina State Department of Public Instruction. For the past fifteen years, Mr. Warlick has operated The Landmark Project, a consulting and innovations firm in Raleigh, North Carolina. David’s attribution web site, Citation Machine, serves nearly a million page views a day and his classroom blogging service has served more than a quarter of a million teachers and students. 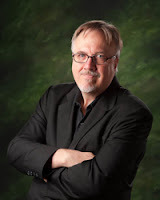 Mr. Warlick is the author of four books about instructional technology and contemporary literacy and has spoken to audiences throughout the U.S., Canada, Europe, Asia, Australia, the Middle East, and South America. He was recently named one of the ten most influential people in educational technology by Technology & Learning Magazine. More information on David can be found at http://davidwarlick.com.